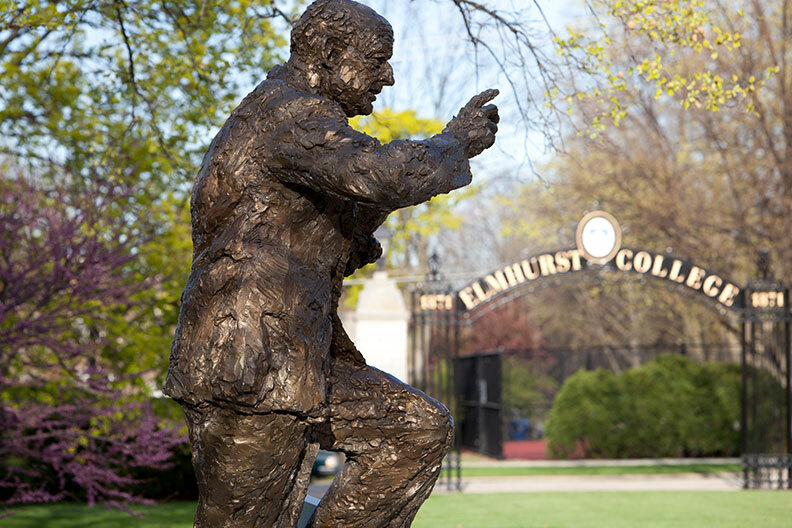 Committed to supporting students with a significant interest in service to society, Elmhurst College has launched the inaugural Niebuhr Service to Society Scholarship Competition. Named for theologians Reinhold and H. Richard Niebuhr, two of Elmhurst College’s most esteemed alumni, the competition recognizes and rewards prospective Elmhurst College students who have shown a dedication to service, both as an aspect of their college search process and in their life plans beyond college. Applicants should submit a video, up to three minutes in length, that demonstrates how they have made an impact through service to society, and that reflects on how those actions could shape their experience at Elmhurst College. Entrants must be an admitted first-year student, and must submit a service résumé and video by Feb. 8. On Saturday, March 9, students and their families will be invited to the second round of the competition, an event to be held on the Elmhurst College campus. The event will include an interview with each student entrant, a small group exercise, a featured speaker and a student showcase. Round 2 concludes with an awards ceremony hosted by President Troy D. VanAken, during which winners of the scholarships will be announced. First place: The winner receives a four-year, full-tuition scholarship. Second place: The winner receives a stipend to cover four years’ room and board. All students who enter the competition will receive a $1,000 Niebuhr Grant, which can be added to previously awarded merit scholarships and/or grants. For more information, email Morgan Ryan at morgan.ryan@elmhurst.edu.